Tapjoy GBB, one of AppsFlyer's integrated partners, maximizes value for app developers through ad-based monetization and industry leading analytic solutions. Tapjoy drives revenue for mobile app developers through advertising and uses data from their apps to serve the right engagement to the right user at the right time. Enter "Tapjoy GBB" in the search field and click on its logo to open the Tapjoy Analytics configuration window. The Tapjoy GBB configuration only makes use of the Integration tab. Tapjoy Analtyics connects with AppsFlyer via a unique API Key. If you don't already have it, you must obtain them from Tapjoy Analtyics to continue with the integration, or follow the steps below. 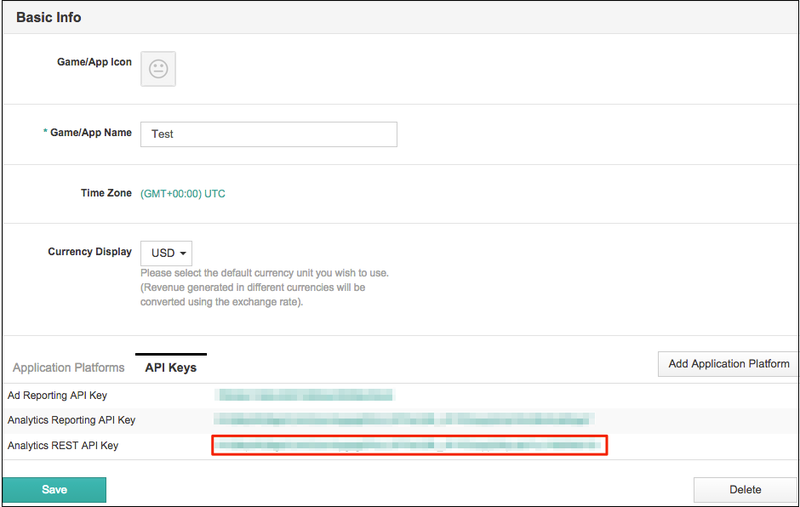 You can find the REST API Key by logging into Tapjoy's dashboard, navigating to the [Settings > App] page, and clicking the API keys tab located at the bottom of the App page. AppsFlyer can send automatic postbacks to Tapjoy GBB following user installs. Use this section to define sending these postbacks. Select either Events attributed to any partner or organic to send postbacks for any user that downloads the app to Tapjoy GBB or select Off. Tracking Links are not available for Tapjoy GBB. Permissions are not available for Tapjoy GBB.